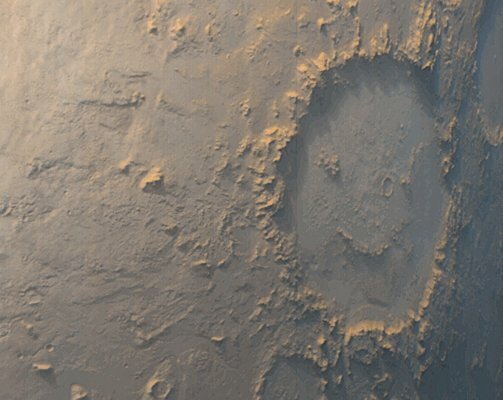 Opis: Even Mars can put on a happy face. 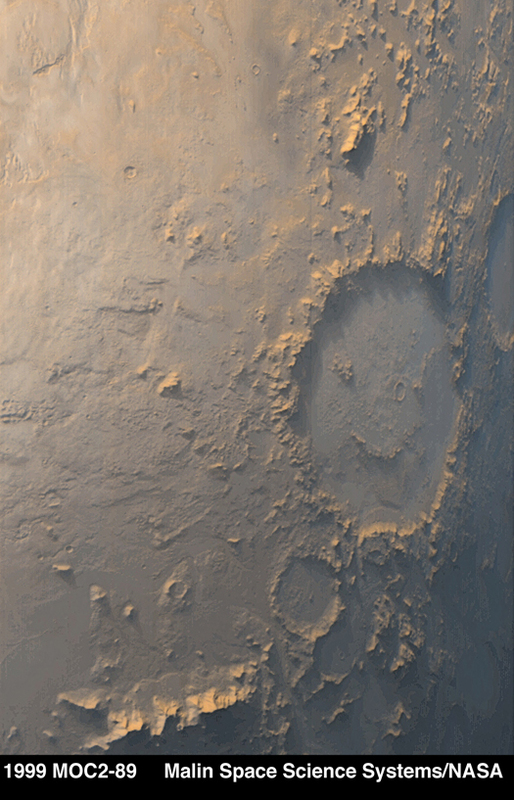 The Martian crater Galle has internal markings reminiscent of a smiley face symbol. Such markings were originally discovered in the late 1970s in pictures taken by the Viking Orbiter. A large meteor impacted the Martian surface to form the crater. Conventional wisdom holds that the markings inside the crater are placed by chance by natural processes. The Mars Global Surveyor (MGS) spacecraft currently orbiting Mars took the above picture. MGS recently started the global surveying phase of its mission.